Are you looking for an extra special dose of Riordan myths, magic and mayhem? Do you live in or near one of the below cities? 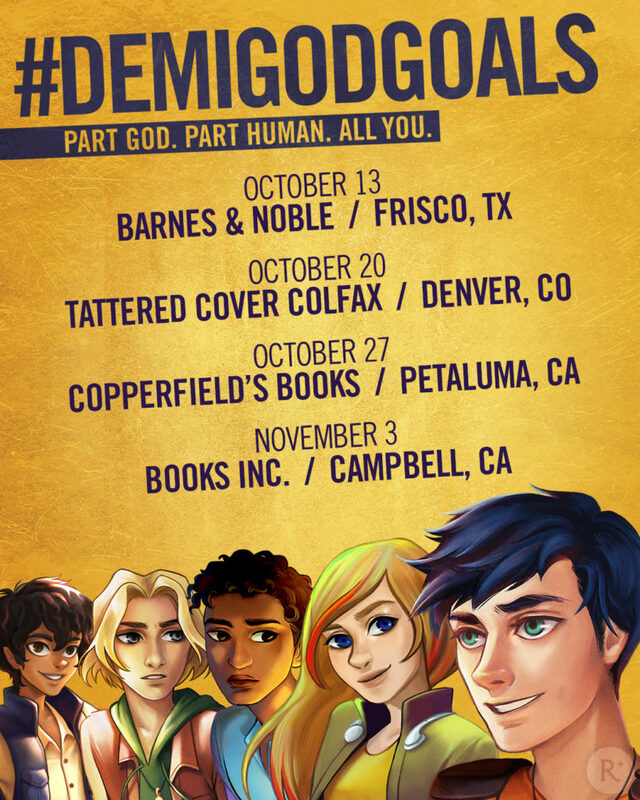 Then mark your calendars, because we’re celebrating all things Demigods with our first annual #Demigodgoals events. Although Uncle Rick will not be in attendance, we’re going to have plenty of excitement for all you OG Demigods out there. Help us kick off a first annual #Demigodgoals event near you by celebrating mythology and demigods! Activities include a Scavenger Hunt, The Wheel of Destiny, Crafts and Let Fate Decide Prize Board!